BUSAN, Nov.16 (Korea Bizwire) – A slow loris, an internationally endangered monkey species, was recently found at a market in Busan. 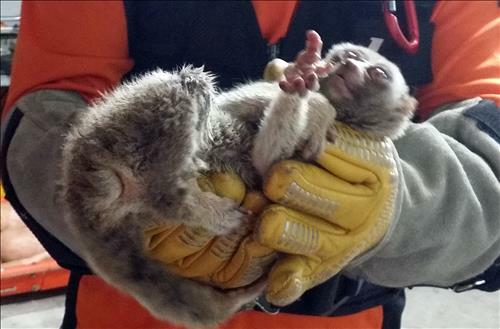 It was the third time that one of the endangered monkeys has been found, after earlier incidents on November 3 and 13. 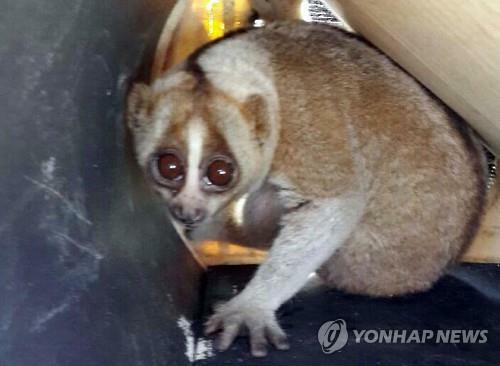 The slow loris monkey was hiding behind a refrigerator at a fried chicken restaurant located in Busan’s Shinpyeong Market. The monkey was a infant slow loris, and was about 20 centimeters long. After being rescued by 119 responders, it was handed over to a nearby zoo. The slow loris is sometimes referred to as the ‘slowest monkey in the world’, as it takes about three hours for the animal to move 100 meters. As they are designated as an internationally endangered species, the monkeys cannot be raised as pets other than in cases when permitted for academic purposes. However, after three of the monkeys appeared at the Shinpyeong Market, curiosity about their appearance is growing. On November 13, a male infant slow loris 25 centimeters long and weighing one kilogram was found at a shopping center in the market. On November 3, another male infant 30 centimeters long and weighing two kilograms was found. Both monkeys were sent to a zoo. The second slow loris that was found showed symptoms of severe malnutrition, and was said to have received treatment in an incubator. Since the endangered species are being found on a regular basis, the Wildlife Conservation Commission of Busan requested that law enforcement agencies investigate, seeing as there might be a possibility of smuggling through illegal channels. 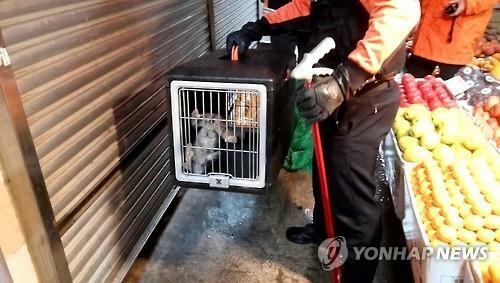 Officials from the Busan Wildlife Conservation Commission comment that the second monkey seemed to have been abandoned near the location it was found, as the animal was not wet even though it was raining that day.